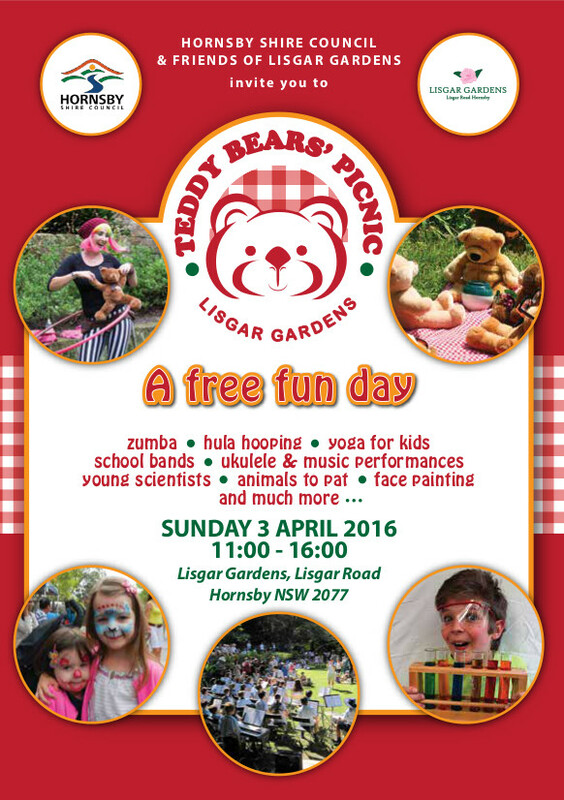 The Teddy Bears’ Picnic is proudly part of the Healthy Living Festival. 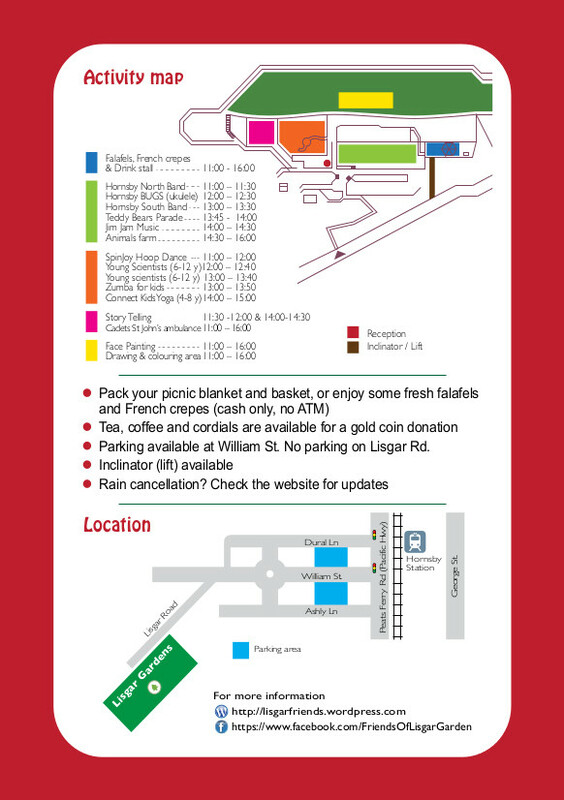 Families are invited to come with their picnic blanket and basket, or they can purchase Fresh falafels and French crepes on site (CASH ONLY). Cordial, tea and coffee will be available for a gold coin donation. Lisgar road is a no through road and there are no parking spaces so please avoid entering Lisgar road except to drop off people or equipment. Parking is available on William street, behind the Odeon Cinema. Coming by train? The entrance to Lisgar Gardens is 15 minutes walk (1300m) from Hornsby Station. At the station, take the exit on the right towards Hornsby West Side. William street will then lead you to Lisgar Road, second street on your left. Rain cancellation? Check this website for updates at 10:00 Sunday 3rd. Do you find a free community event is something worth helping? Assist us by volunteering 1 or 2 hour(s) on Sunday 3rd April 2016! There are a variety of tasks to perform and you can help from 9:00am to 5:00pm, depending on your schedule!